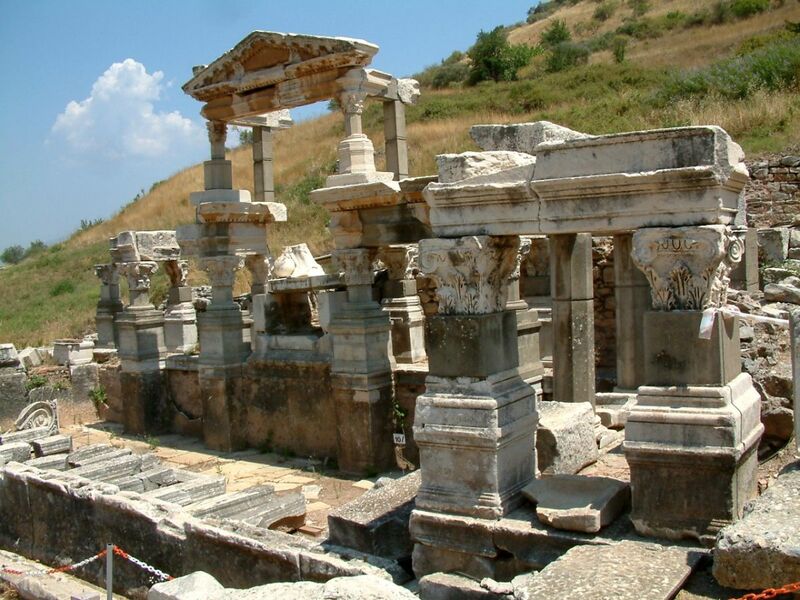 Full Day Ephesus Tour includes a visit to the ancient city Ephesus which used to be the most important commercial center of the western Anatolia, the House of Virgin Mary where Mary had spent her last day, the Basilica of St. John where is believed that the evangelist St. John had spent his last years in the region around Ephesus and buried in the southern slope of Ayosolug Hill and the Temple of Artemision which is known as one of the seven wonders of the Antic World. 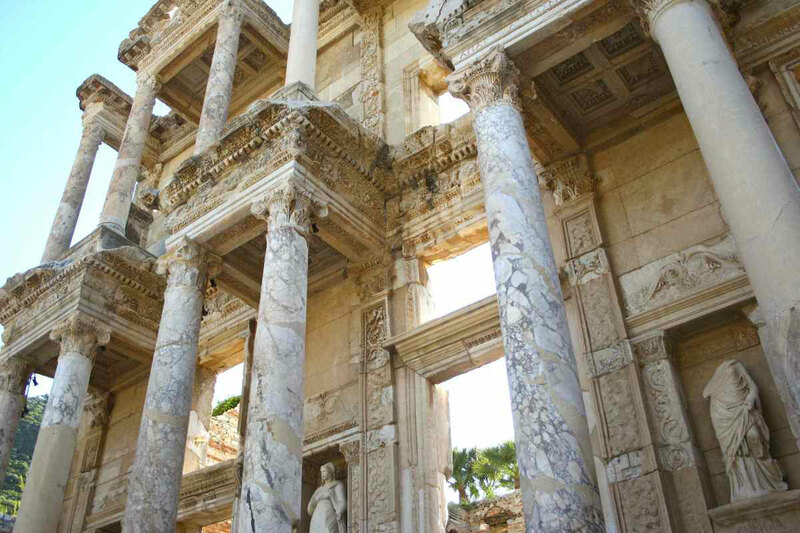 The ruins also include a theatre, gymnasium, agora and baths, as well as the Library of Celsus. It is recorded that St. John brought the Virgin Mary to Ephesus after the death of Jesus Christ and that she spent her last days in a small house built for her on Bulbuldagi (Mt. Koressos). Now a popular place of pilgrimage for Christians and Muslims the house has received the official sanction of the Vatican and Christians observe a commemoration ceremony every year on August 15th. 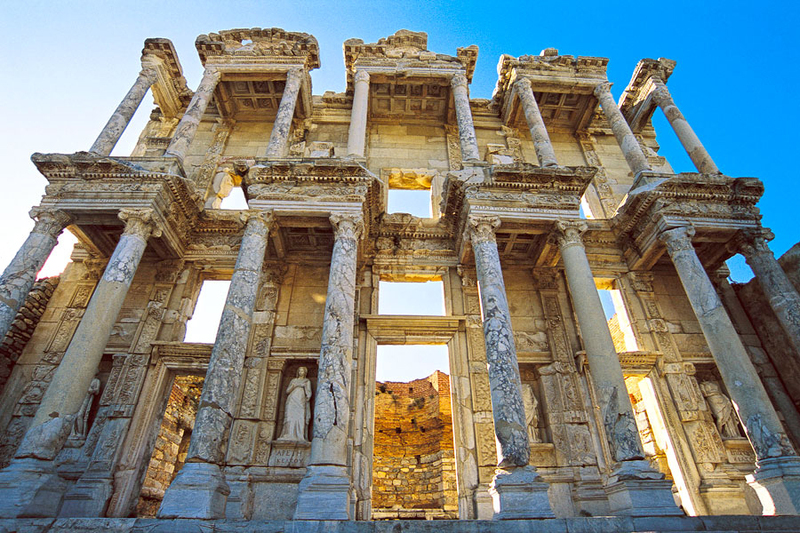 There are many important ancient sites; Ephesus is the most popular ancient site around. Many acres of carefully excavated ruins present a unique recreation of the ancient splendor. These ruins require at least a full day for observation. 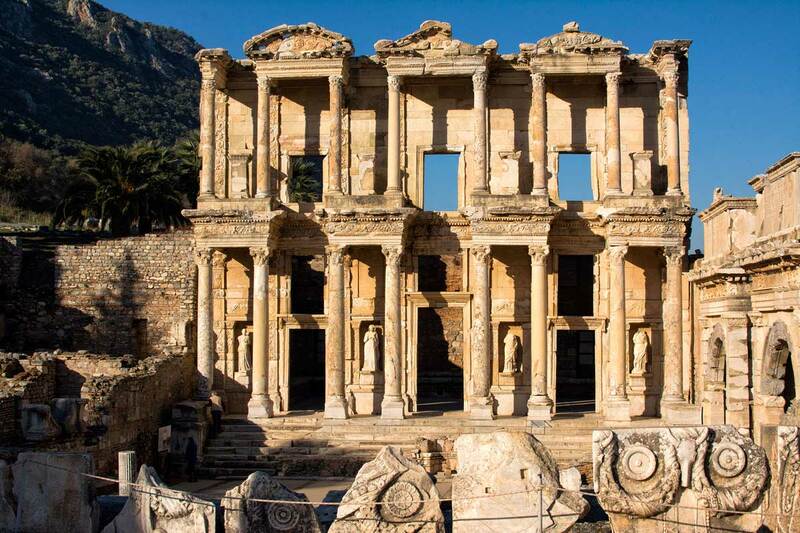 With its excellent location Ephesus had become the most important city of Asia Minor throughout several civilizations. 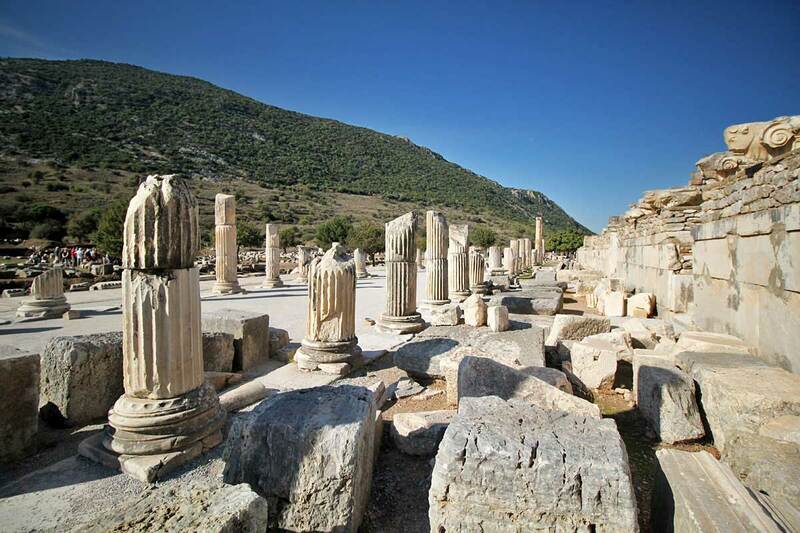 Nearby, are the site of St. John’s Basilica and the reputed last home of the Virgin Mary who was said to have spent the last years of her life in Ephesus area? Southeast of Bulbul Dag (Mount Nightingale), 7 km from ancient city Ephesus, on Ala Dag (Mount Solmissos), is a building known as the House of the Virgin Mary, where people from various countries and many different religions gather together, there is the place in which the Virgin is said to have lived and died? The building, the foundations of which date from the 1st century. 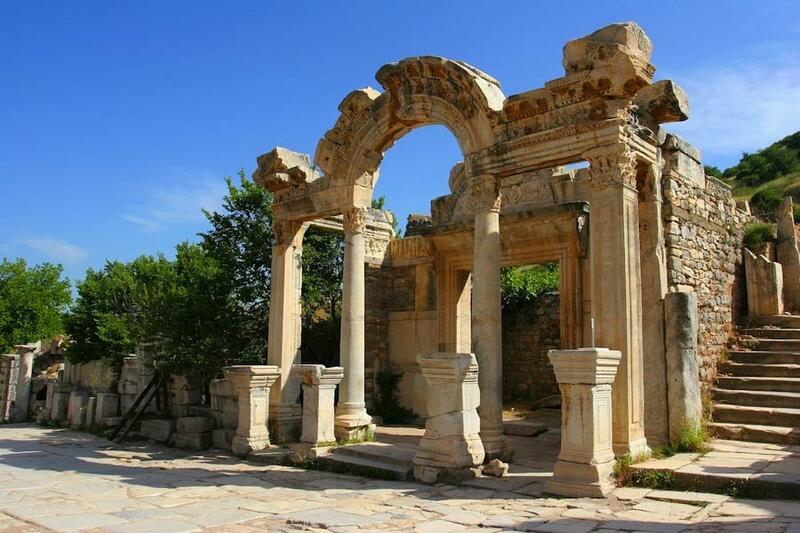 A.D. was restored in Byzantine times but thereafter was abandoned and fell into disrepair. Its association with the Virgin dates only from the 19th c., following the visions of a German nun, Katarina Emmerich (1774 – 1824), who gave an exact description of the situation and appearance of a house at Ephesus in which the Virgin had lived and died. 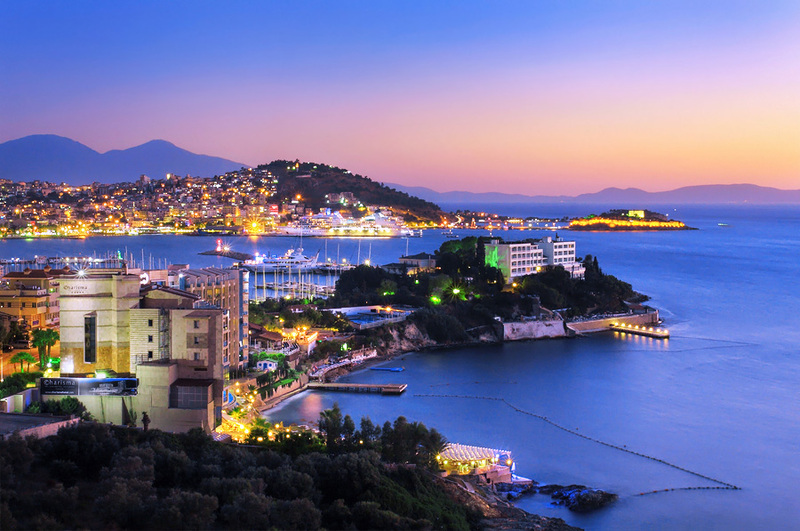 In 1891, on the basis of her account, Lazarists from Smyrna (Izmir). Discovered on the south side of Bulbul Dag the ruins of a small church which had evidently belonged to a monastery and this are now revered as the Virgin’s house. The pilgrimages which began after the finding of the house continued on an increased scale after the Second World War, and the Feast of the Assumption (15 August) is celebrated here with particular ceremony. In the year 1961, the statements by Pope John the 23rd, in 1967 the visit made by Pope Paul the 6th, and in 1979. After these important visits Virgin Mary’s home was accepted as that of being holy. And each year being visiting more than over one million Christian and Muslim people.